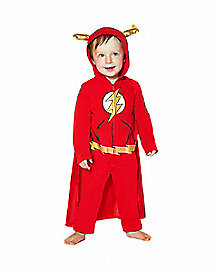 Home / Family Life / Have you bought your Halloween costumes yet? Have you bought your Halloween costumes yet? I think Halloween is one of those holidays that is just for kids, I know that most people think it is for adults more than kids, but I personally love that kids get the chance to be whatever it is that they can think up. 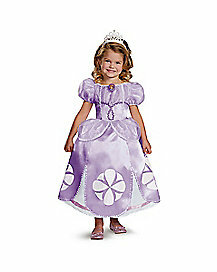 They can be a princess, a construction worker, a super hero, or even dress up like a favorite cartoon character. I took Destini to the Spirit Halloween Store locally and I was quite impressed with the sheer number of costumes they had available for kids. Of course, lots of princesses, and Star Wars, but they also had wrestling characters, Transformers and My Little Pony. I thought that the costumes at Spirit Halloween were all reasonably priced and most seemed to have the ability to withstand being used as dress clothes for play later on. Some of the cutest costumes were there for babies as well. You could have a whole family dress up like Frozen characters as they had them from infant all the way to adults. I remember when we were little we had hard plastic masks and vinyl costumes that tied at the neck, they were hot and you could never see out of the eye holes of the masks. The costumes here at Spirit Halloween were able to be as simple or as elaborate as possible. 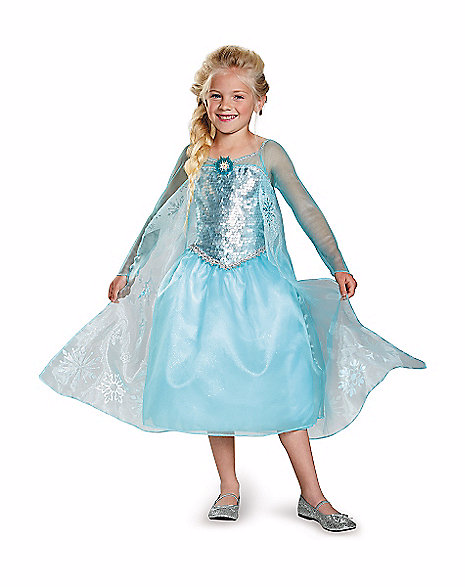 You could be Elsa with just the dress or you could add a wig, shoes, jewelry, a wand or even make up if you wanted to! I love the customization available at this store. Destini chose an Elsa costume and the beautiful dress was so elaborate, she just loves it! All of the little details that mattered so much to her! I love and most important she loves it. If you are looking for a Halloween Spirit Store near you check out their store locator HERE! Happy Halloween and Happy Shopping!